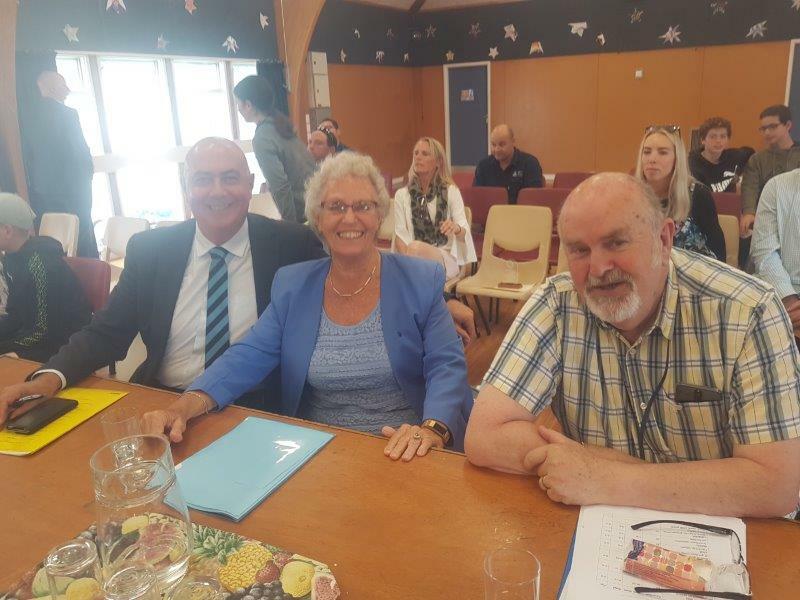 The Parumoana Schools' cluster covers the nine primary schools in northern Porirua. It is a longstanding tradition, now stretching back over 17 years, for them to compete to see who their best young speech-makers are. The contest is held in November each year. This year it was held in a new venue, Discovery School, which proved to be a happy choice. As previously, it was coordinated and chaired by Sarah Jenner, a teacher and Deputy Principal at the school. 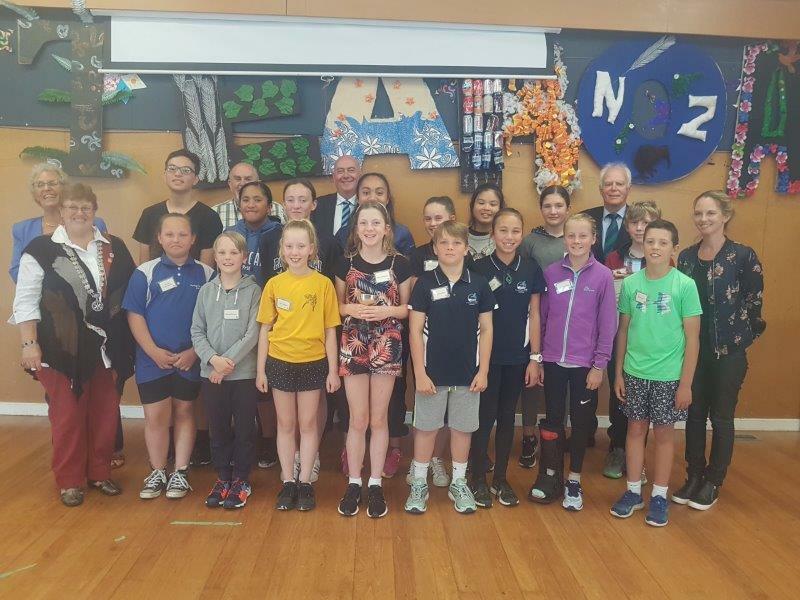 There were entries from eight of the nine primary schools in the cluster: Plimmerton, Pukerua Bay, Pauahatanui, Papakowhai, Discovery, Postgate, Paremata, and Adventure. Sixteen children entered the contest, in two groups: 10 and 11-year-olds, and 12 and 13-year-olds. Each had won the right to compete by winning their own school’s contest. A large group of parents, siblings, supporters and club members were treated to speeches covering an extraordinary variety of topics, some humorous, some serious, and some challenging. The students were confident and well-practised, and astonishing in their maturity. 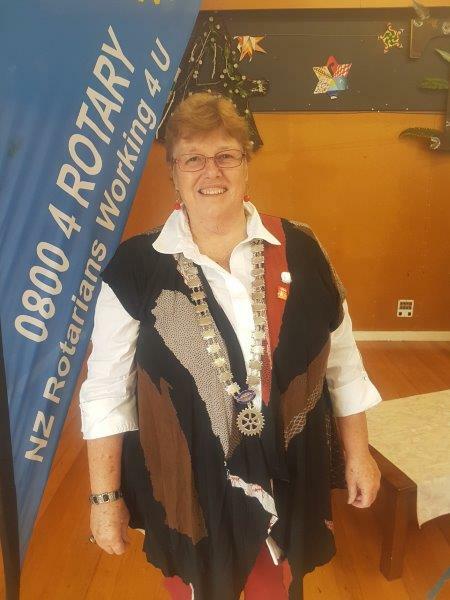 The chief judge was Wendy Betteridge, supported by Gary Nicholson and Darrell Phillips from Spinnaker Toastmasters. There were certificates for all the contestants, trophies for the winners, and cups for the winners’ schools, all presented by President Donna. Wendy had some well-chosen words of advice for the contestants at the end. The school trophies were awarded to Plimmerton and Discovery Schools. David Knight again ran things at the Rotary end, quietly but with his usual aplomb. Because of the enthusiasm of the participating schools, the speech contest shows no signs of losing momentum and is greatly enjoyed by club members. Original generation time 1.3029 seconds.